NOTE: DiLL is now available for sale from Swift Education Systems. 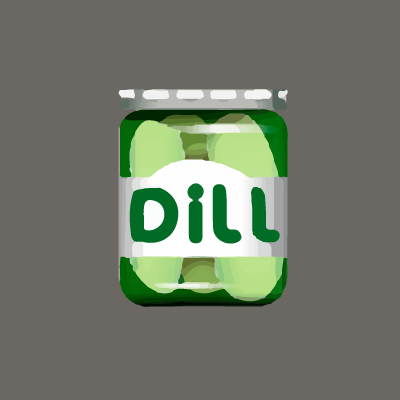 Swift is the exclusive licensor and official commercial distributor of DiLL. To get DiLL for your school, please contact Swift at www.swifteducation.com. In 2006, the MMLC launched DiLL, a new audio network technology created by Zachary Schneirov and Matthew Taylor, under the supervision of Janine Spencer. This all-digital system represented an extensible, flexible, and non-proprietary computer-based answer to the traditional language lab. It is still the only software of its kind for the Macintosh platform. DiLL represents, in a virtual space, a traditional language lab. Because of its digital nature, DiLL also removes the constraints of the traditional lab, introduces new pedagogical features, and allows for easier communication between members of a class. DiLL allows real-time high-quality audio communication between students and teachers while simultaneously serving audio language lessons and recording student work. It runs on Mac OS X and uses its open-source Bonjour networking technology to locate students automatically. DiLL provides a centralized control panel from which an instructor can listen to and correct students as they speak. From one screen, an instructor using DiLL can see and/or hear what each student is working on, communicate either with the entire class or selectively with individual students, can reassign lessons, and pair or group students in conversation. Meanwhile, each recording that a student makes while working or testing is saved to a server automatically. The instructor can access these saved lessons at any time to review and grade work. DiLL introduces several innovations to the language lab environment. It gives students the option to slow down audio while maintaining the original pitch. This allows for a better understanding of unfamiliar sounds. DiLL also incorporates a silence recognition feature, permitting a more logical replay and review of audio material. And, like any digital resource, once a catalog of audio material is established inside DiLL, it is available everywhere on its host network and is accessible by any number of students. DiLL transforms the model of the language lab into a modern, pedagogically sound, and financially viable solution. Former MMLC Director Janine Spencer originally headed the project with consultation provided by Professor Li-Cheng Gu of the Chinese Language Program. In 2012, DiLL “graduated” from a departmental project into the premier product of a new start-up company, Swift Education Systems. All future development of DiLL will take place in this exciting new environment. For information about licensing DiLL, please contact Swift. Enter the DiLL system (password required). Download the DiLL Teacher’s Guide. Download a working draft of the user manual.